The occasion of my 30th birthday was the last time I visited Ignite. It was rather an impromptu affair, following an afternoon of drinking in a nearby hostelry. I can’t recall much about it, other than that my brother picked up the tab, which was jolly civil of him. 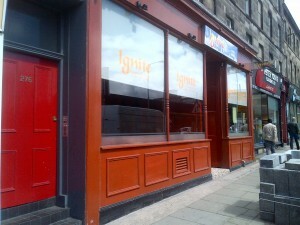 I popped in today, to try their lunchtime deal, with two courses for £8.50. Their menu offered a small selection of starters, followed by half a dozen different curry styles, served with your choice of chicken, lamb or veg, with rice or naan to accompany. 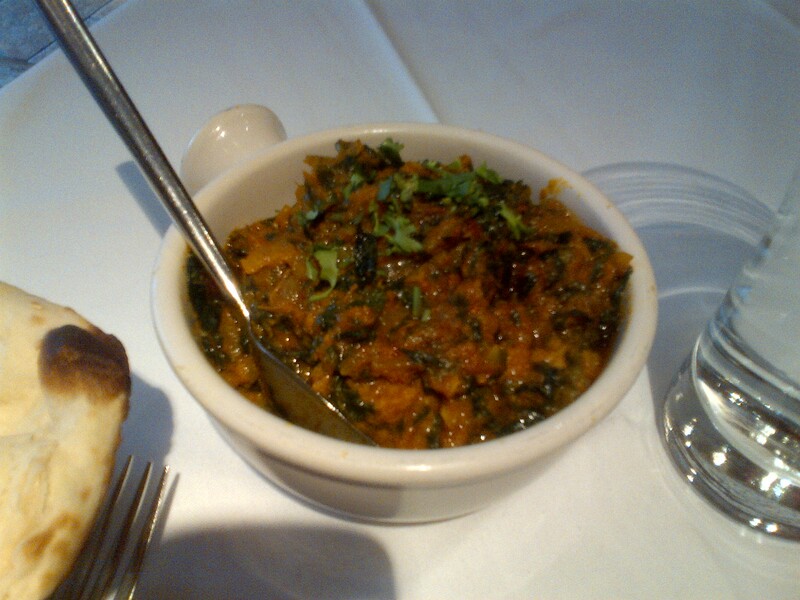 I quickly settled upon lamb spring rolls to start, followed by a lamb saag and naan. 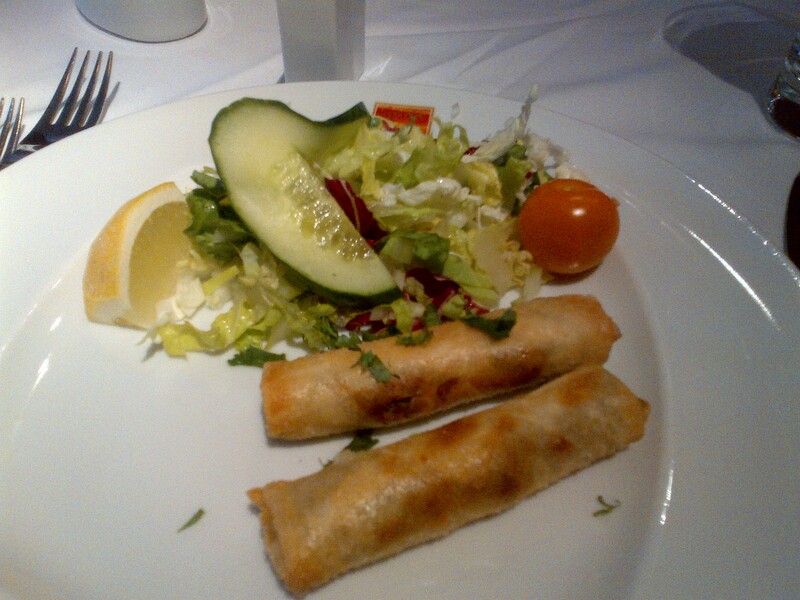 The spring rolls arrived promptly, but were a little disappointing. The casing was rather too thick, making them difficult to cut and hard to chew, which was a shame, as the minced lamb filling was very tasty. The main course was leaps and bounds better, with the lamb absolutely outstanding. Beautifully tender, it had been cooked long and slow and was nicely infused with warmly spiced goodness. The accompanying naan was decent, but could have been lighter and crisper. The main bugbear about the whole experience, though, was the service. Rarely have I seen two waiters who were less interested in their task. The place wasn’t overly busy, so perhaps they’re use to managing a busier room, but every place has its quieter days, particularly on weekday lunchtimes, so service needs to adapt. They got the job done, with dishes presented and cleared with little fuss, and I don’t expect boundless optimism from waiting staff, but their pervading glumness was a rather poor show. So overall, I saw enough from Ignite to suggest that it serves impressively good food, but things were rather inconsistent, today. The service needs a shot in the arm, too. With these relatively minor weaknesses addressed, I’m confident that the focus can be returned to dishes such as their excellent lamb saag, which was undoubtedly first rate. I look forward to better luck on my next visit.